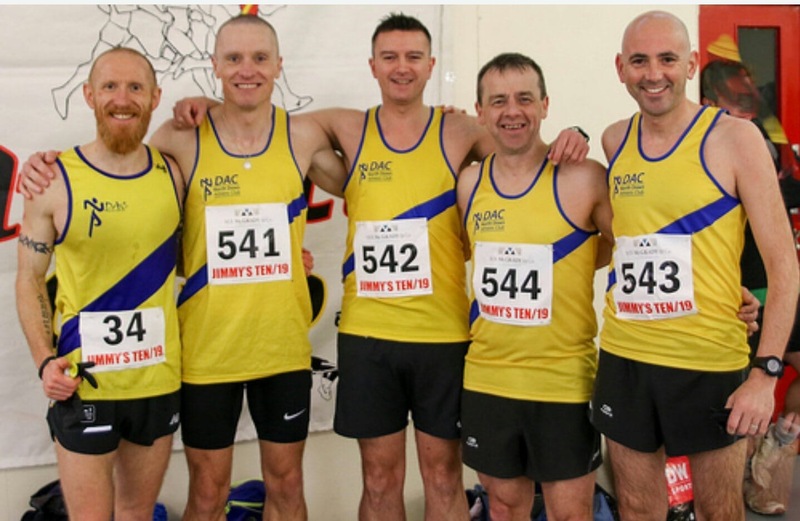 Traditionally the first big 10k of the road racing season, host club East Down AC welcomed all comers to Downpatrick for the latest edition of Jimmy’s race this past Sunday morning. Falling on the anniversary of Saint Patrick’s death it was somewhat appropriate that nearly 850 racing snakes set off from the town centre on a route which took in a loop of Down Cathedral, the saint’s reputed burial site. 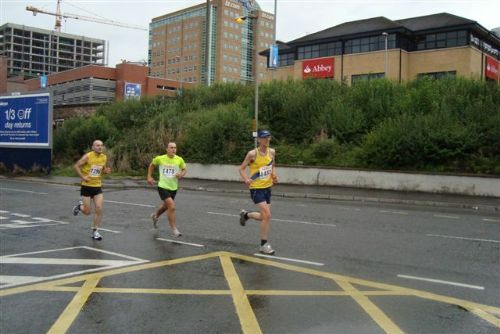 However, for the baker’s dozen of North Down athletes there was little time to take in the sights on a day when wind, rain and a partly flooded course tested athletes, but could not prevent a fine return of fast times. 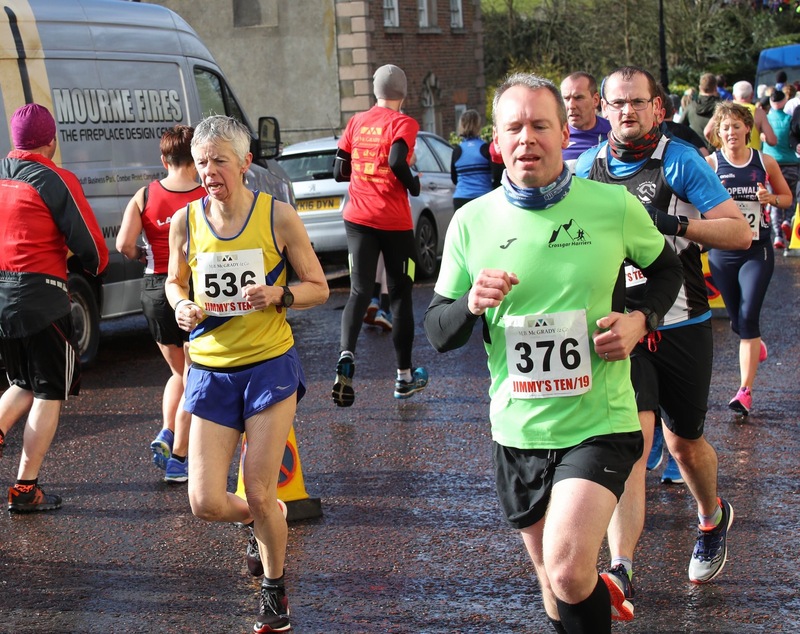 Taking time out from London marathon training, Darren Hamilton was first club member across the line in 36:12 (30th), whilst Mark Weir came down from the mountains to post 37:26 for 42nd. 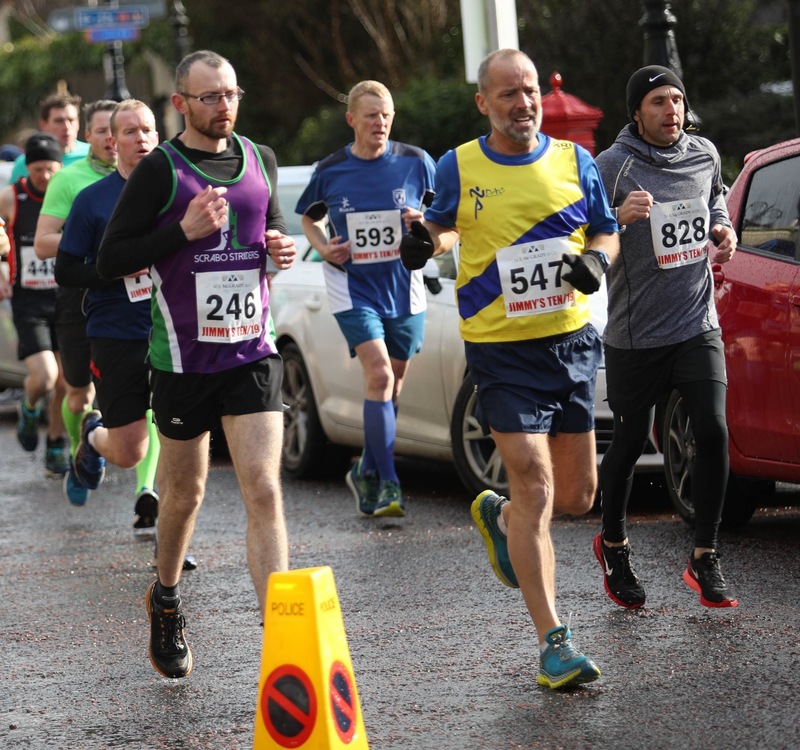 Paul Floyd was delighted to take 43 seconds off his previous best, clocking 37:54 (46th) and, even without much in the way of recent training, David Massey had enough in reserve to break 40 minutes (39:24/ 67th). 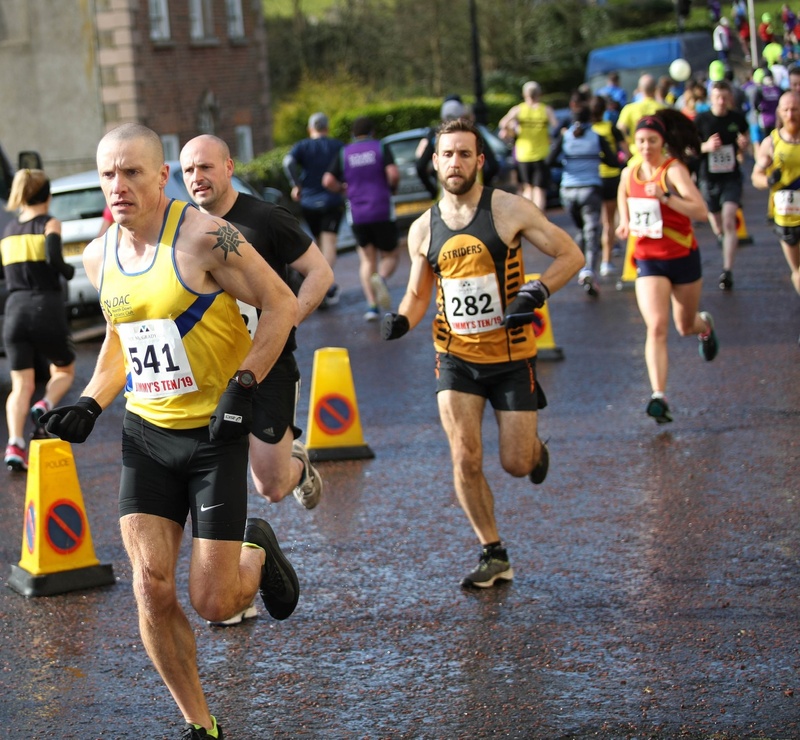 Alan Massey had pain etched on his face as he crossed the line, but in the end it was worth the effort to record 42:36, whilst not far behind Phillip Mulligan (another member showing promising signs post injury) stopped his watch on 43:59. 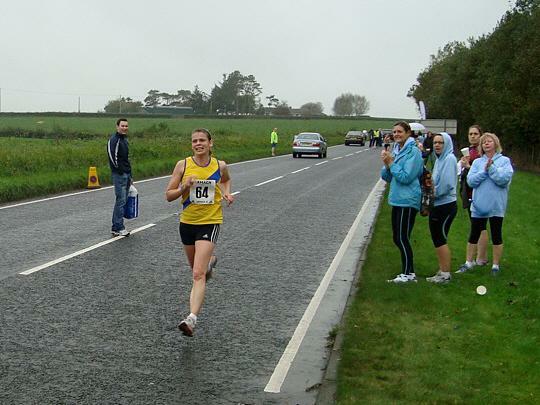 Gerry Adair (44:26) had a great run, whilst just the other side of 45, Julie Balmer (46:46) and Roy Sittlington (47:51) made light of the difficult conditions. 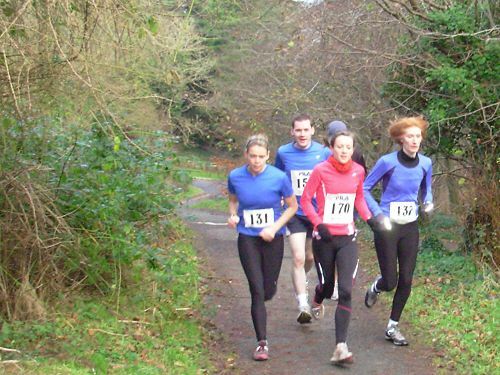 John Ferguson (52:03), Valerie Blayney (53:57) and a David Balmer (54:31) crossed the line within a couple of minutes of each other, whilst Patricia Nickell completed another grand day out for the club by posting 1:03.31.